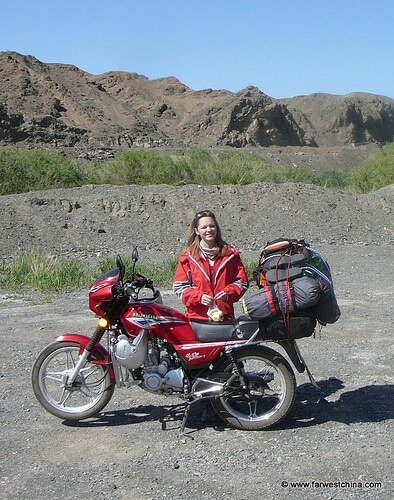 In what may go down as one of our most adventurous and spontaneous trips we’ve taken here in Xinjiang, my wife and I just spent last weekend on our new motorcycle exploring…nothing. Well, not really nothing, but darn close to it. 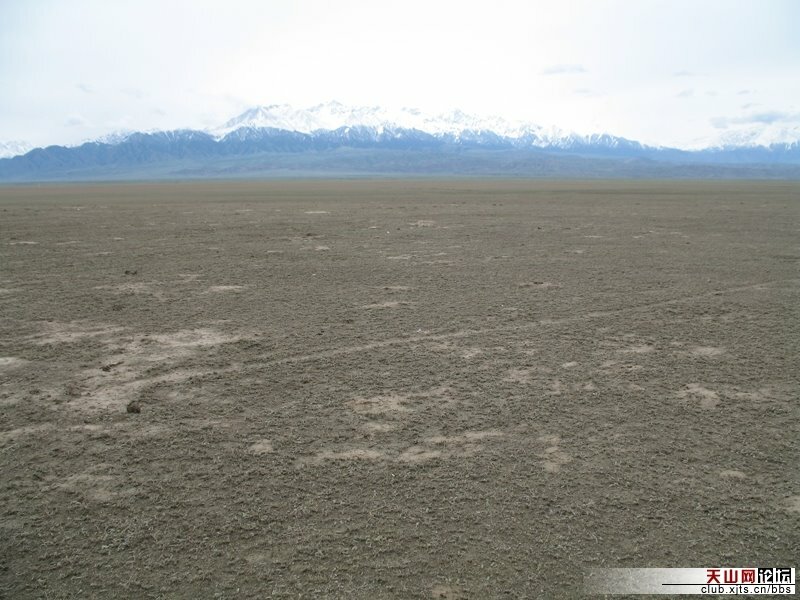 The interesting thing about Xinjiang is that it has some of the most incredible scenery you will find anywhere in China, yet you usually have to travel through a bunch of barren desert to get there. Last week my wife and I bought a detailed road map of Xinjiang at the local bookstore and decided that Tacheng would be the perfect place to kick-start our new found freedom of exploration. Plenty of mountains and a recommendation from a friend sealed the deal. Using a few bungee cords we were able to tie down our sleeping arrangements, plenty of food, and what would turn out to be an insufficient amount of water to the back of the bike. We were ready to go. Only two paved roads exit our city on the north side. One dead ends about 6 kilometers at the city cemetery while the other road squeezes into the lifeless hills that eventually lead to Tacheng. It’s not a wide road, but at least it’s paved. Our biggest concern for this journey was the weather, especially Xinjiang’s wind which during this season can be terribly strong. Thankfully, as you can see in the pictures, our skies were clear and and the wind remained fairly calm. Having never been out in this direction before we weren’t quite certain what to expect, but once we realized just how desolate this land was we were determined to camp near a water source. After crossing a river, which not surprisingly sustained a small town, we decided to pull off the road into the nearby mountains to set up camp for the night. We were both amazed as we pulled off the road we looked over to see a herd of camels (or is it a pack?) crossing the desert probably in search of the water nearby. How many places do you see this? 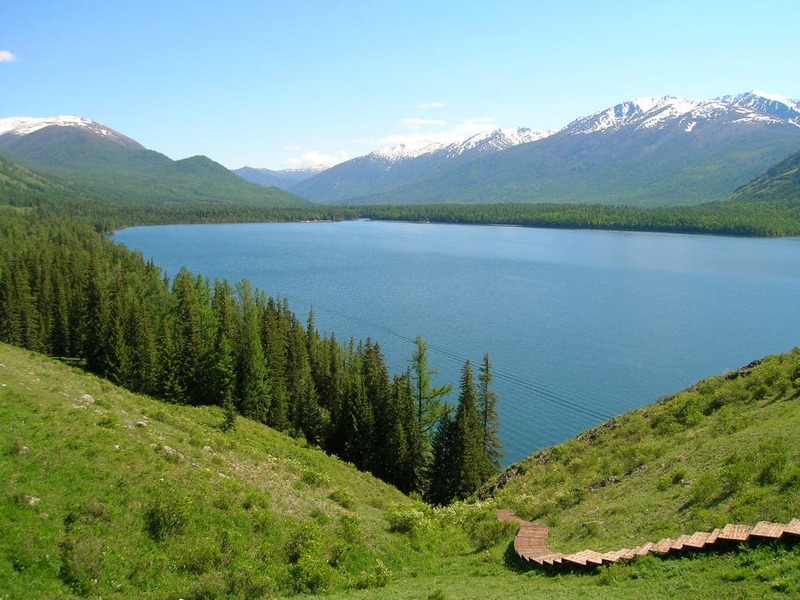 For the next two days we enjoyed the beautiful Xinjiang outdoors as we hiked, relaxed, read a book, and cooked our meals. Our second night was spent at a location nicknamed “Kilometer 38” where you can see our camp setup in the picture below. The main objective of this trip – to get away from all things China – was for the most part achieved and as far as our families are concerned it was successful because we returned home without a scratch. We didn’t make it all the way to Tacheng this time, but that’s ok. This was just a test run for trips yet to come. 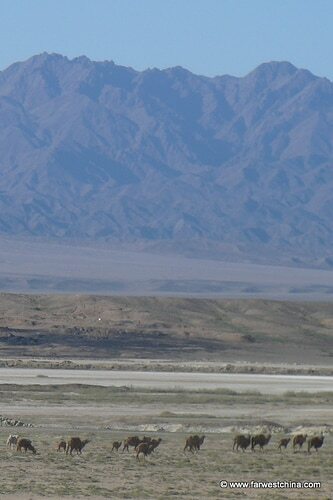 Traveling to Xinjiang? 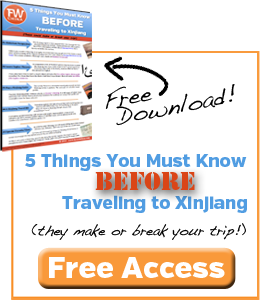 Find out which China Travel Guide is best for YOU! Really cool reading over your blog. I would love to move to Urumqi one day. I’m currently living in Dongguan, but I can definitely see that happening in the not so distant future. So me and a buddy are wanting to fly to Urumqi from Guangzhou and go backpacking somewhere in December. We would like to stay in a tent while there. We will probably arrive Thursday morning and leave Sunday night. Do you have any suggestions? Any advice would be greatly appreciated! Well, it’s going to be very, very cold, I’ll tell you that much! If you only have a few days, it’s probably best to hike into the Tianshan and use the Heavenly Lake as a starting point. 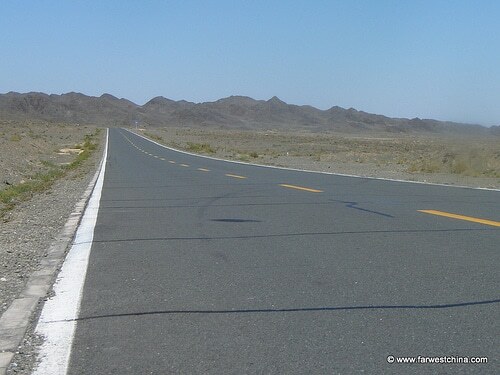 Either that or you can start south of Urumqi in the “Nan shan” and hike around there.